An intensely intimate journey into the unseen and unspoken aspects of catastrophic illness, told from the determined viewpoint of a forty-year-old stay-at-home mother of three. 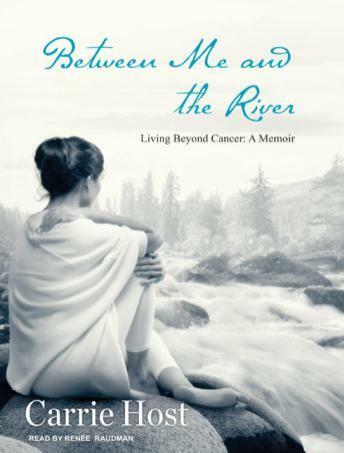 Packed with inspiration, advice, comfort and hope, Between Me and the River is Host's candid and uplifting love story of how she found the strength and fortitude to triumph over adversity. When told at forty, with her youngest child only ten months old, that she had carcinoid tumor, Host felt she had been hurled into a raging river, stripped of all forms of potential rescue. The voyage of this strong-minded, open-hearted woman out of that river and onto safe shores is told with uncompromising honesty and respect for the miracles that medicine and love can work. While dealing with practical issues such as how to find the best medical team and what to tell her children, Host experienced many spiritual and eye-opening lessons: How to forgive and how to cherish. How to see what is available rather than what is absent. How to free up energy to heal by letting go of anger and fear. Host's unquenchable sense of humor in the midst of suffering creates poignant moments of laughter through tears. Her book conveys an enormously deep sense of understanding and ultimately delivers acceptance and peace. She offers an 'emotional nightlight' for cancer patients in their time of greatest need-perspective for the soul.